My friend Ben came up from DC and we walked down to Father Curren Bridge and the old paper mill before I went to work. Betty, a reporter I work with said that she heard we walked down to the bridge on the police scanner. This town is small. People hear you think here. In Augusta Maine here. Old Mill Park is a pretty cool place to walk to in Augusta Maine. It might be radioactive though. Then I walked to work and was inspired by Augusta Maine. 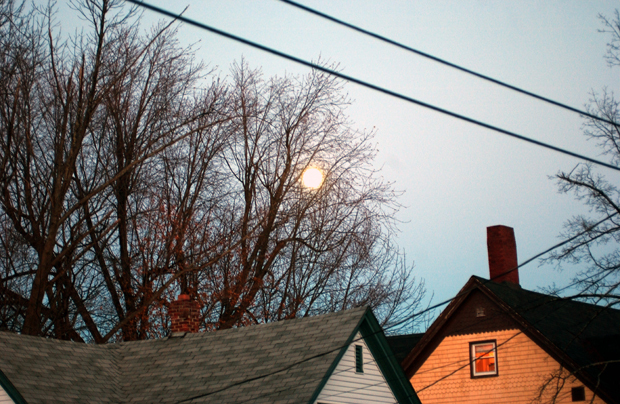 There was a full, or close-to-full moon. No Conspiracy: Satellites are sending messages to people in my neighborhood, I know it. The moon followed me to work, I know it. Hollywood Hills Maine and an interpretive moon cycle. 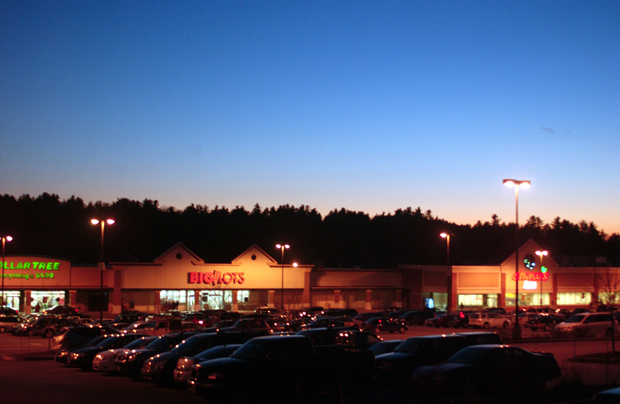 Black Friday is so big in Augusta Maine because the strip malls are some of the most beautiful in the country. Truckload of money, a Dead River oil tanker cha-chinging down Western Avenue. And Western Avenue Gas Station, I mean Fire Station.